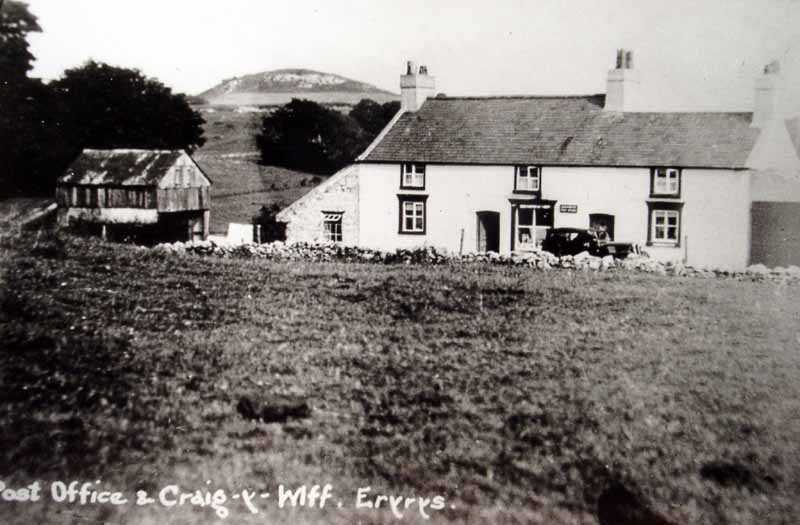 eryrys post office and craig y wiff in times past. 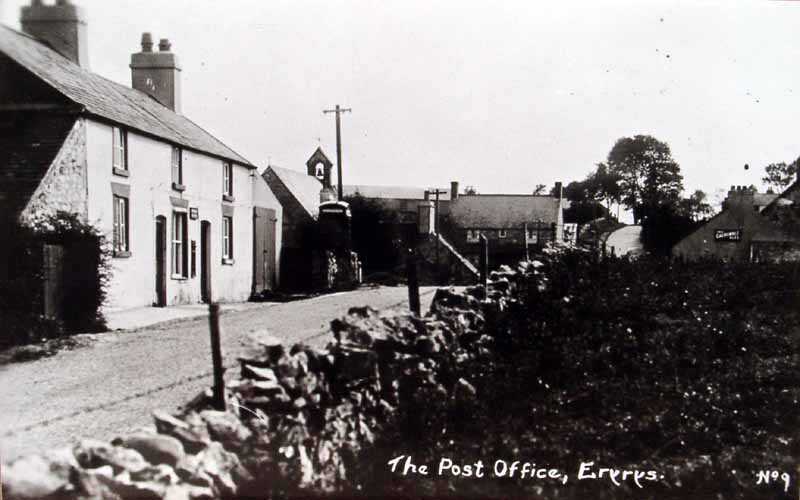 Eryrys is in the county of Denbighshire in North Wales. At 350m above sea level it is one of the highest villages in Wales.